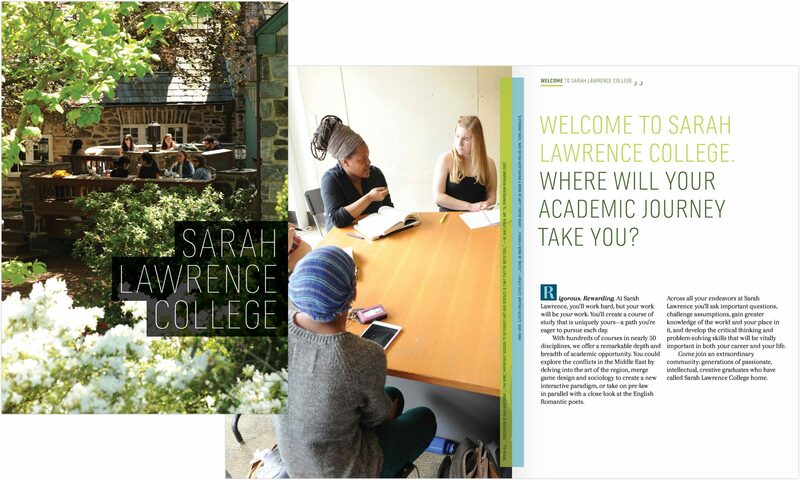 Sarah Lawrence College, since it welcomed its first class in 1928, has often been ahead of the curve—or engaged in shaping a new one. 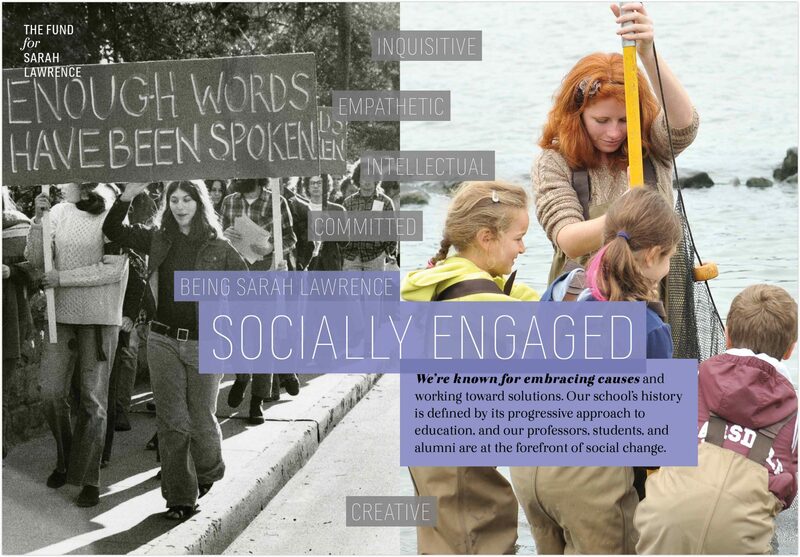 Launched with a vision and pedagogy that were at once both time-tested and startlingly new, Sarah Lawrence, through its approach to education, devoted faculty, talented students, and accomplishments of its alumnae/i, built up an enviable and differentiated reputation and brand. 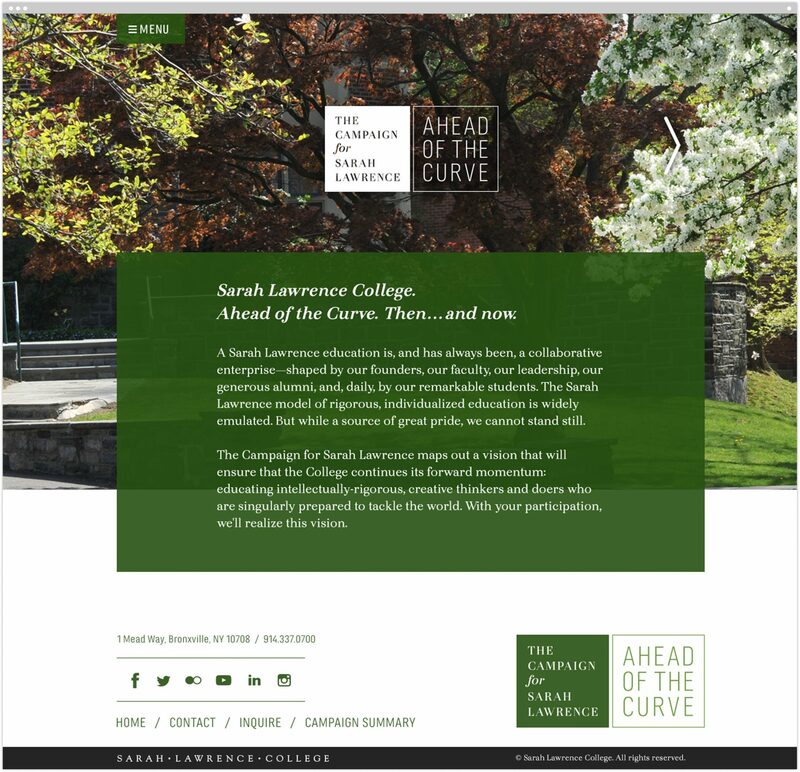 But a shining past didn’t guarantee a shining future, and the College’s leaders were aware that the Sarah Lawrence brand had lost some luster. 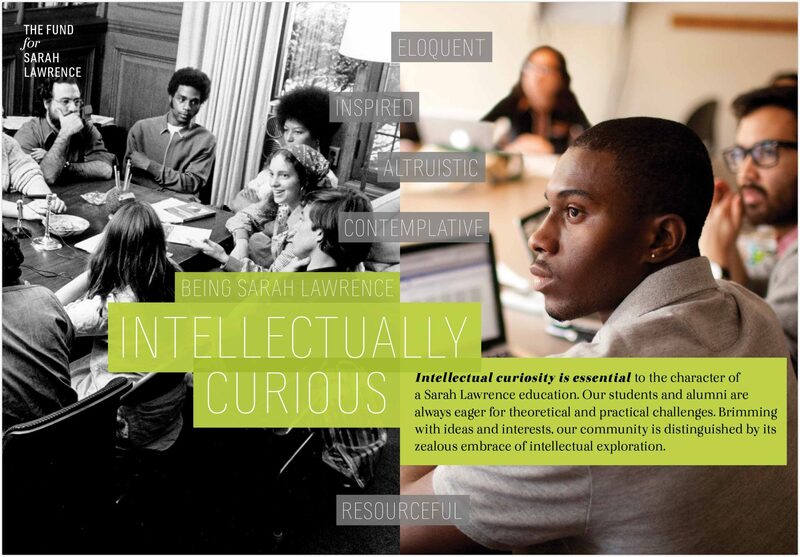 The College became known for things it didn’t want defining it and less known for the academic rigor, student centrism, and interdisciplinary approach that are truly the hallmarks of a Sarah Lawrence education. 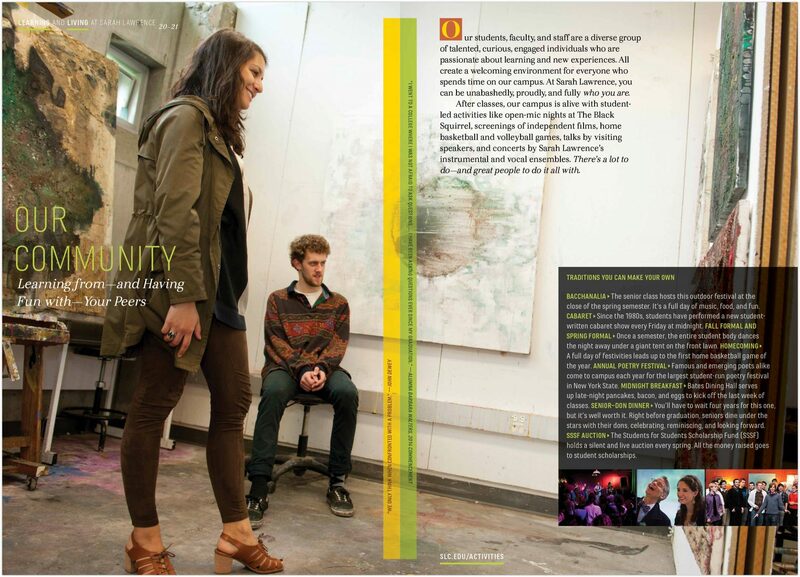 It’s almost impossible to convey the depth and breadth of Sametz Blackstone’s work for us over the last year. 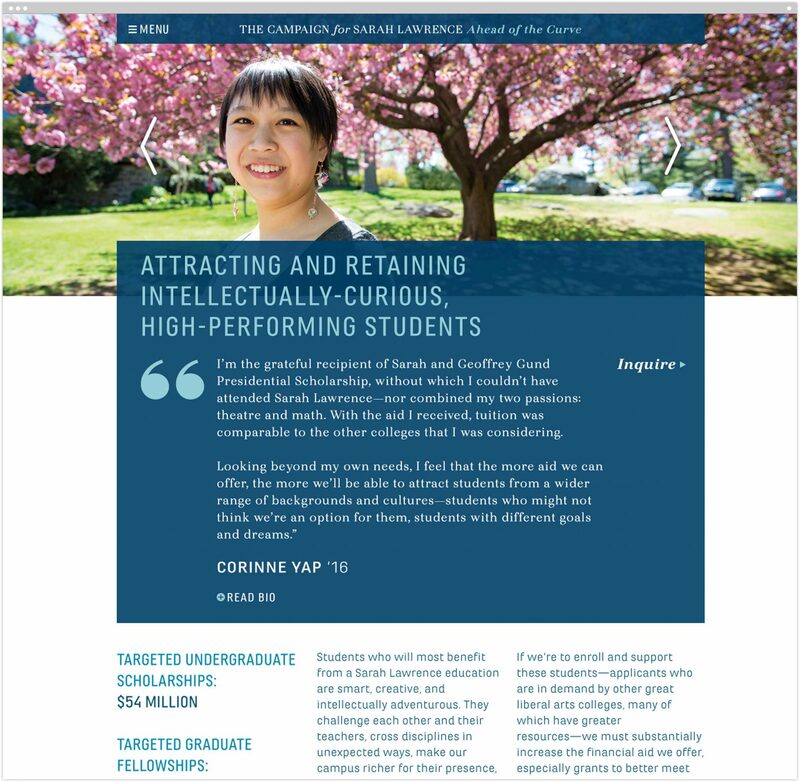 We engaged the firm with a mandate to resurrect our moribund brand, and, against impossible deadlines, to conceptualize and produce all new print and digital collateral for undergraduate and graduate admissions, development collateral including the annual fund and its related giving societies, as well as all alumni communications. 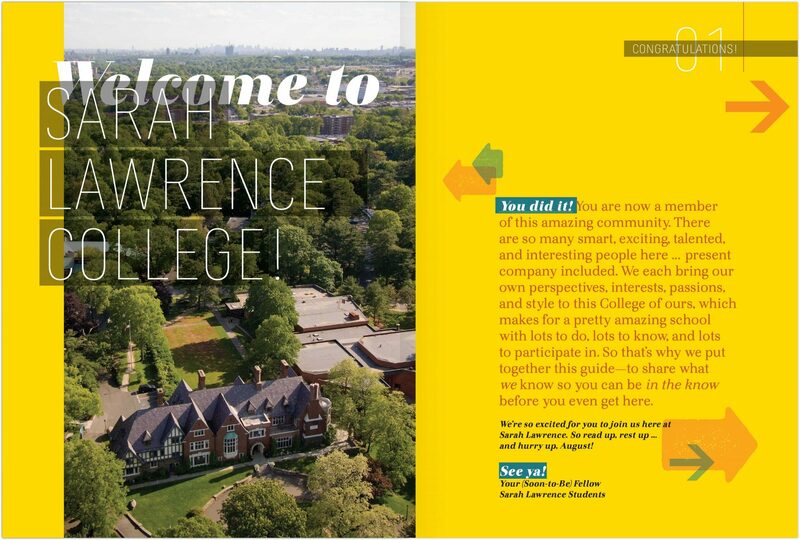 For enrollment, one of the biggest impediments to connection was simply ignorance: the College had focused on narrow geographic segments and more people needed to learn about the school. 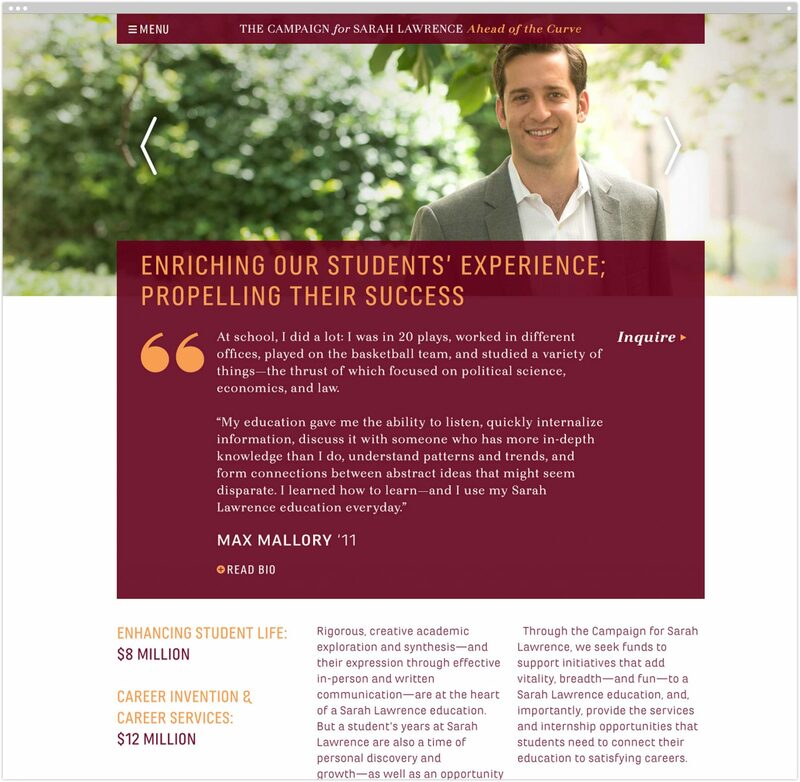 Materials that did exist were overly complex; the value the College provides was not clearly articulated; the website woefully out of date. 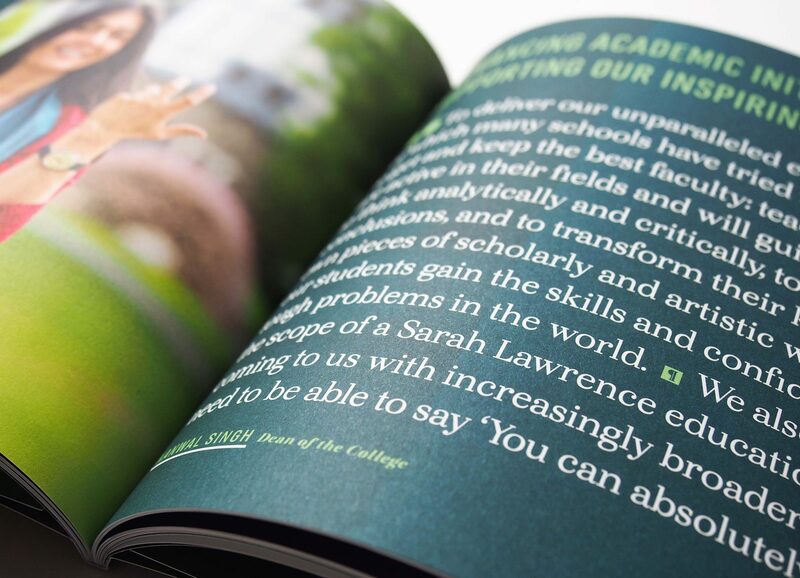 On the fundraising front, Sarah Lawrence was about to embark on a major capital campaign—and strengthening connection to alumnae/i was a priority. Existing materials did not align with how graduates thoughts of themselves. kept the campus community (including trustees) apprised of progress all along the way. 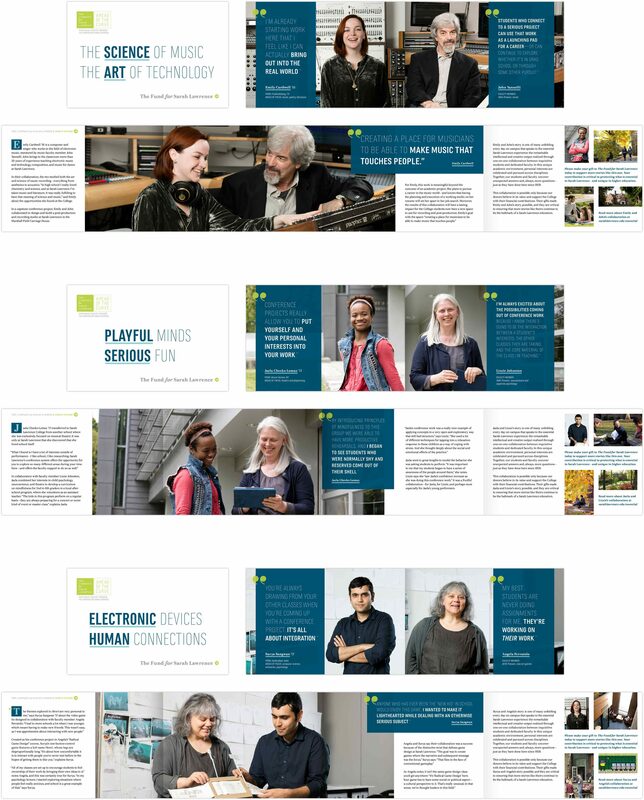 The brand system is documented in a guide available to all who create communications on campus, to ensure they put the visual and verbal elements of the system to effective use when they develop new materials, or update existing ones. 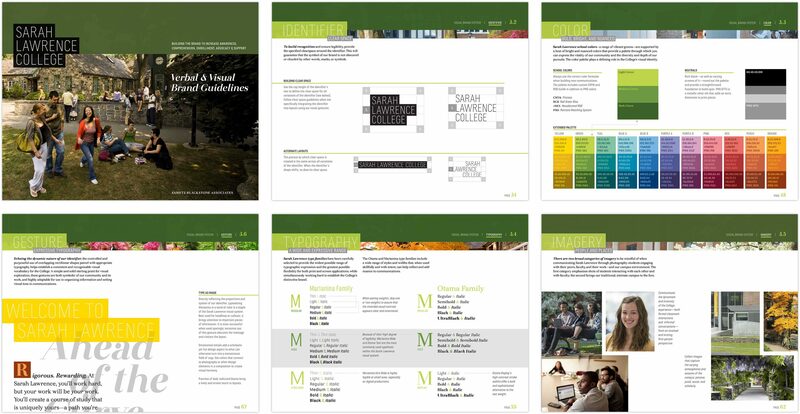 In tandem, we asked our team to reconceive and redesign sarahlawrence.edu—and to write, design, and produce materials for our capital campaign, including a comprehensive, yet personally-relevant case statement. 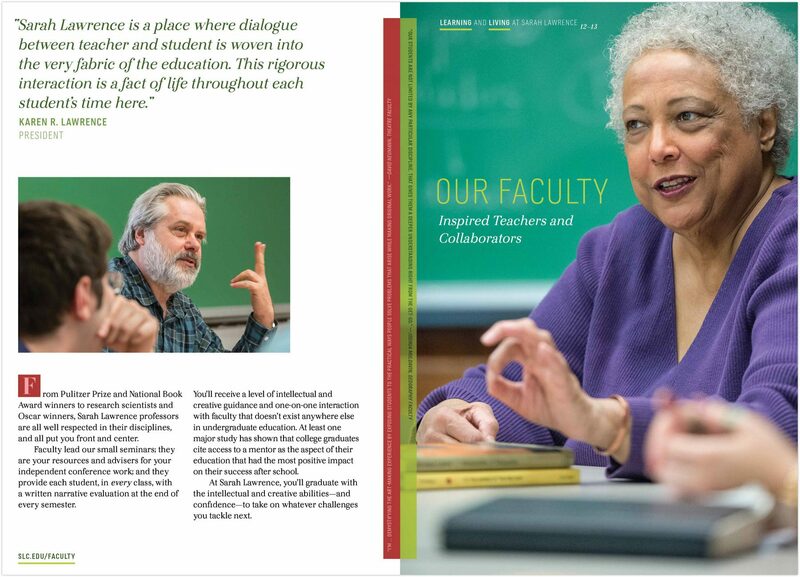 Any one assignment alone would have been formidable, but taken together—a top to bottom rebranding of the institution while executing all of its component parts—was a herculean task that they accomplished ahead of time and under-budget. 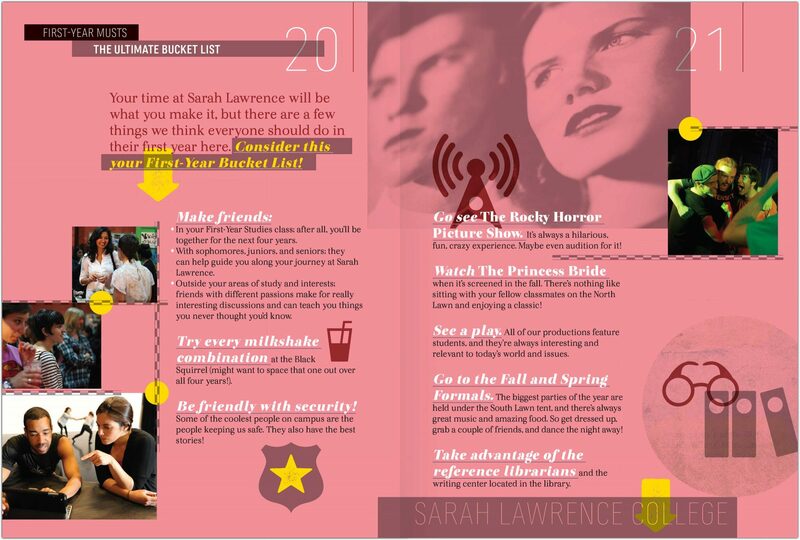 Turning to recruitment materials in more detail: in collaboration with our client group, we strategized, wrote, designed, photographed, and produced a range of print and digital materials that allowed the admissions team to prospect, cultivate, and convince candidates of the College’s value and fit. 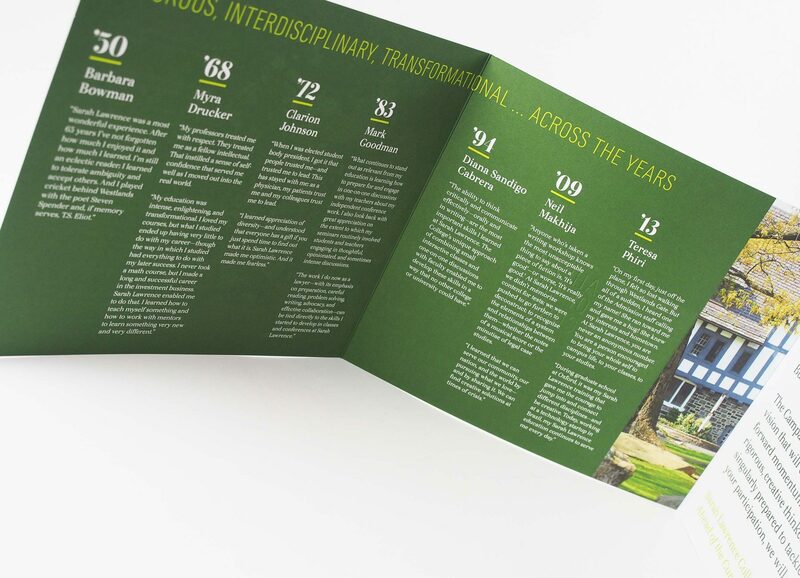 Although we haven’t been through a full admissions cycle with the new brand and new admissions materials, early results are exciting. 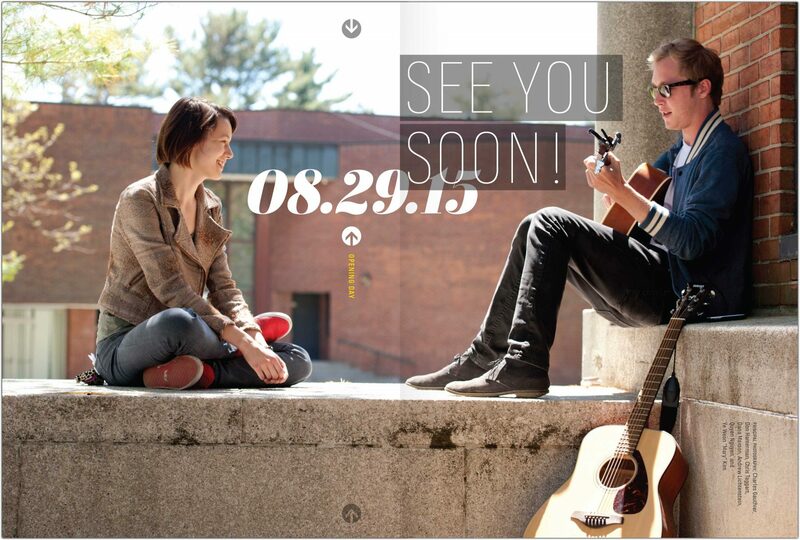 The open rate for our first email “postcards” was extraordinarily high. Inquiries and applications are up. 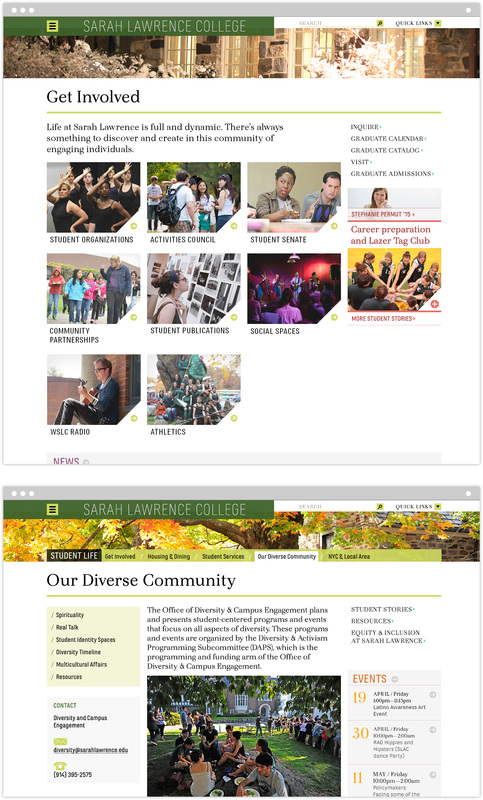 The entire campus is excited by the new website. Faculty, who were once more than skeptical of marketing efforts, are fully behind the new efforts. Few firms could have accomplished what Sametz Blackstone did. 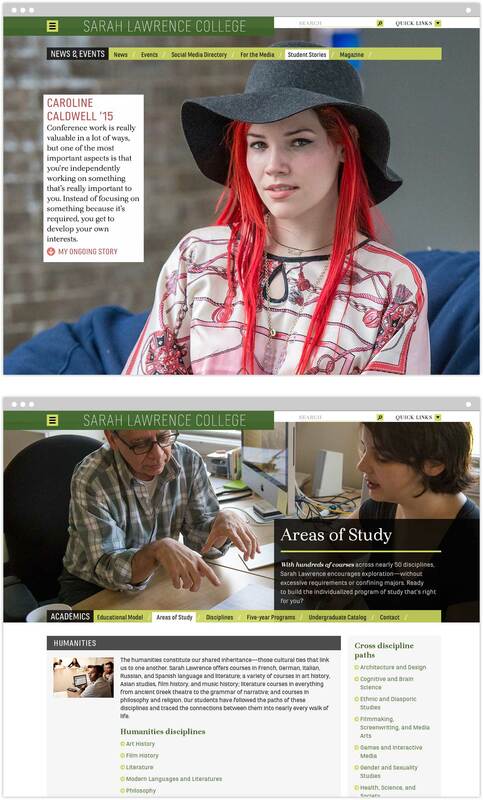 They are trusted partners in the future success of Sarah Lawrence. 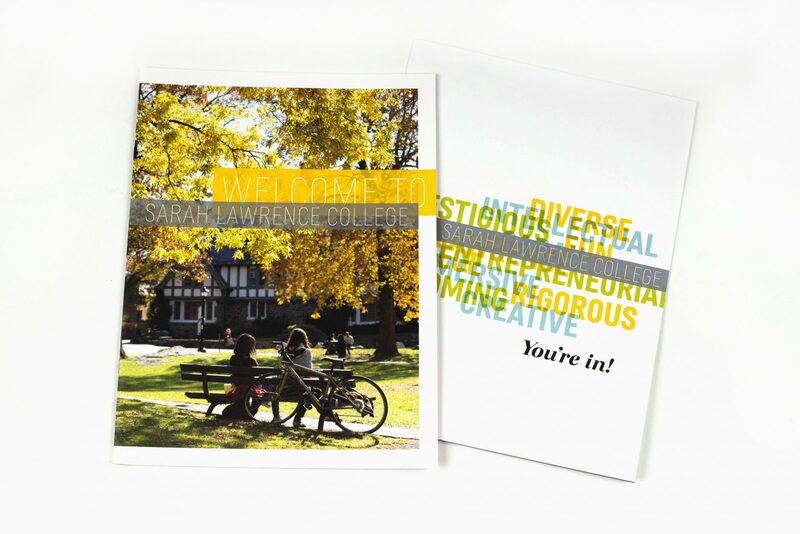 Print and digital postcards open a dialogue; a compelling poster is distributed to college counselors; a uniquely-bound viewbook both reinforces Sarah Lawrence’s position within its peer group and underscores the school’s reputation for intellectual rigor paired with creativity; a “motivational piece” follows acceptance letters; and an irreverent handbook is also delivered to these students—to start to build a sense of community. 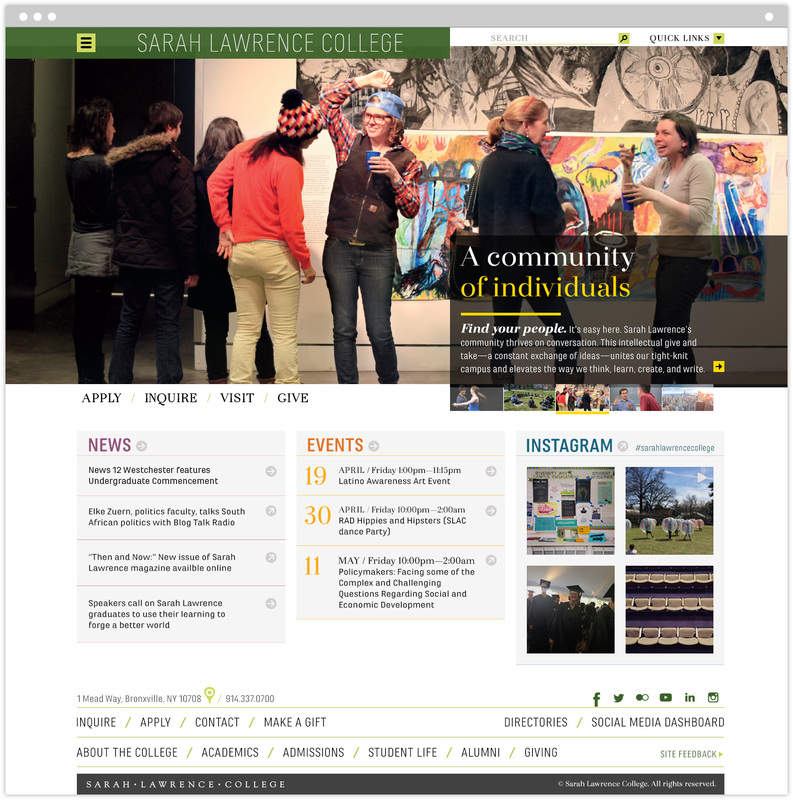 All print, email, and social communications are tied together by the College’s new website. The challenges were significant. 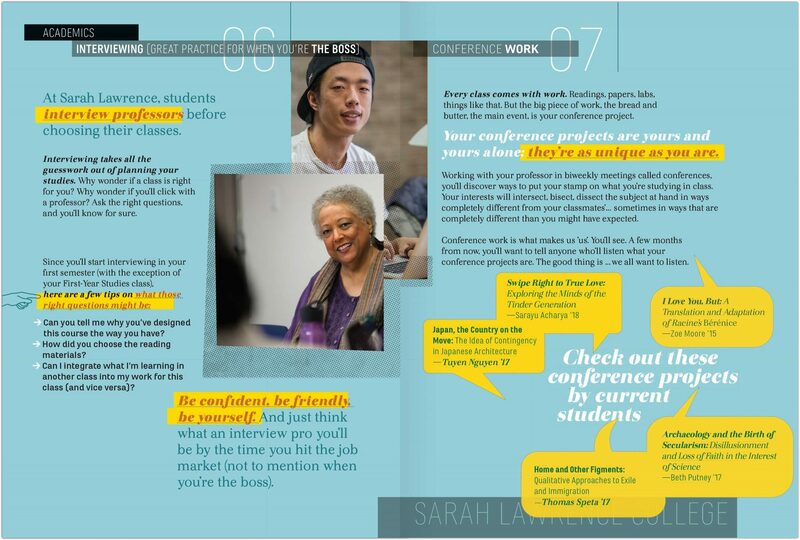 Sametz Blackstone worked seamlessly with dozens of campus groups, including senior leadership, to build trust and the necessary collaborative relationships. 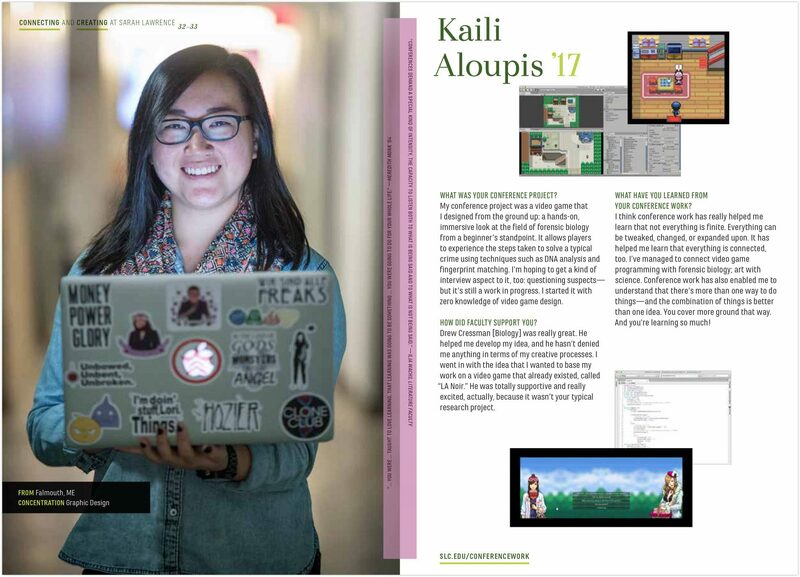 They interviewed hundreds of alumni, and conducted multiple focus groups with students, staff, and faculty. 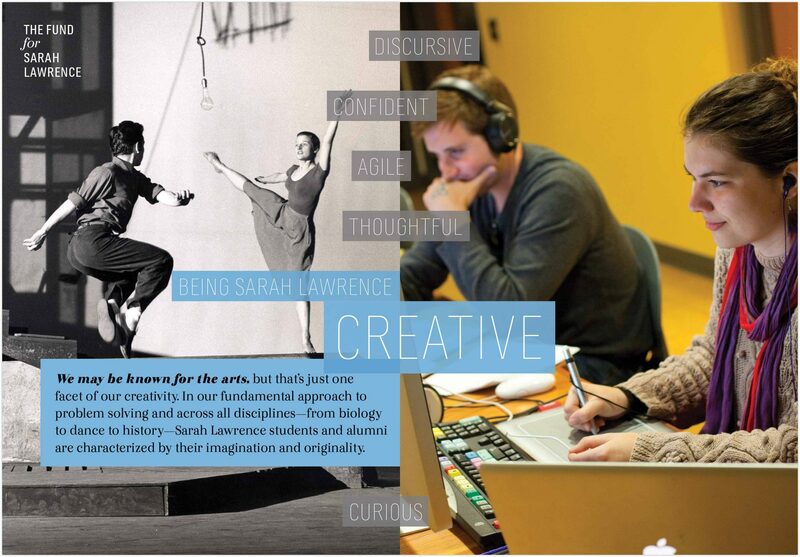 Our new branding initiative was a success largely due to their efforts—their ability to listen, synthesize, create, and manage. The challenges were significant. 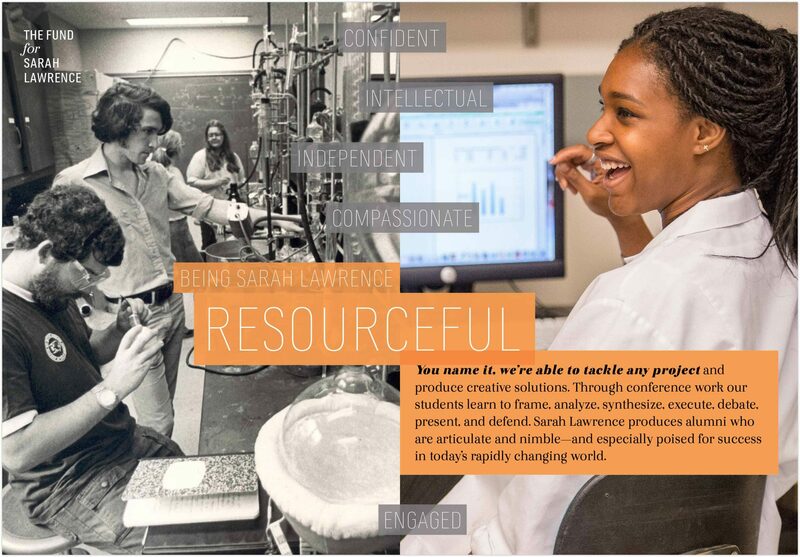 Sametz Blackstone worked seamlessly with dozens of campus groups, including senior leadership, to build trust and the necessary collaborative relationships.